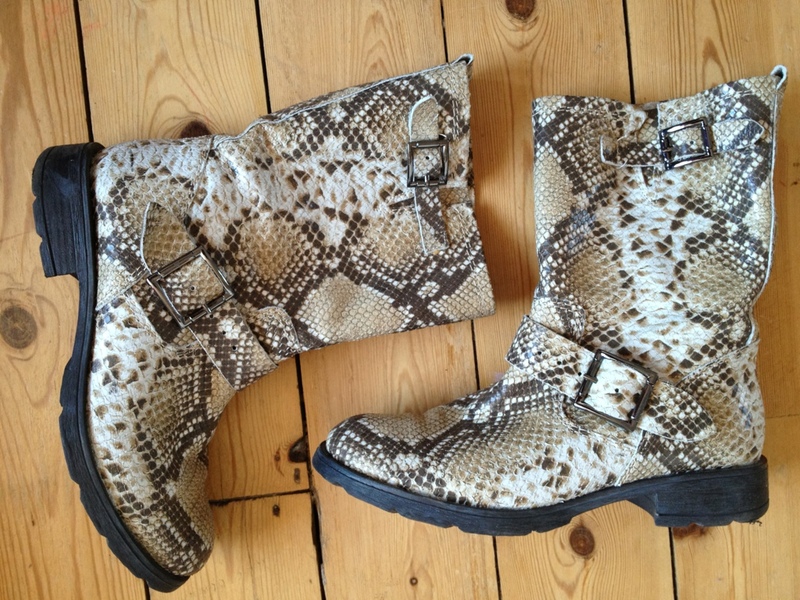 Today’s school run shoes are these fakey snakey Salem boots from Kurt Geiger – the first KG footwear you’ll see on here, but certainly not the last! From the Kurt Geiger pre-Christmas sale, they’re fast becoming a firm favourite. I think they ROCK (in my usual so-bad-they’re-good questionable-taste way), but would perhaps have preferred them in a cowboy boot shaped style, just to increase the doubt-factor!